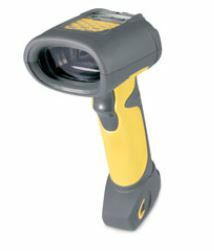 Barcode scanners from Intermec, Datalogic, Honeywell and Motorola will virtually cater for all your needs. This includes rugged, bluetooth wireless or tethered bar code reader. No matter what your environment or application: retail POS, manufacturing shop floor, aisles in a warehouse or a bedside in a healthcare environment, you can trust that we have a barcode reader that suits you. General purpuse readers are designed for small to medium sized businesses. They offer simple, reliable and affordable scanning for day-to-day operations. It’s easy to use and no set up or training is required. Industrial readers are designed to withstand the harsh realities – temperature variances, drops, dust and weather. They are feature-rich for point of service applications including light industrial, retail, and healthcare. 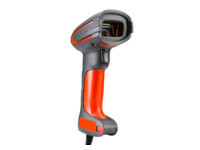 Learn more about types of Barcode Scanners here.